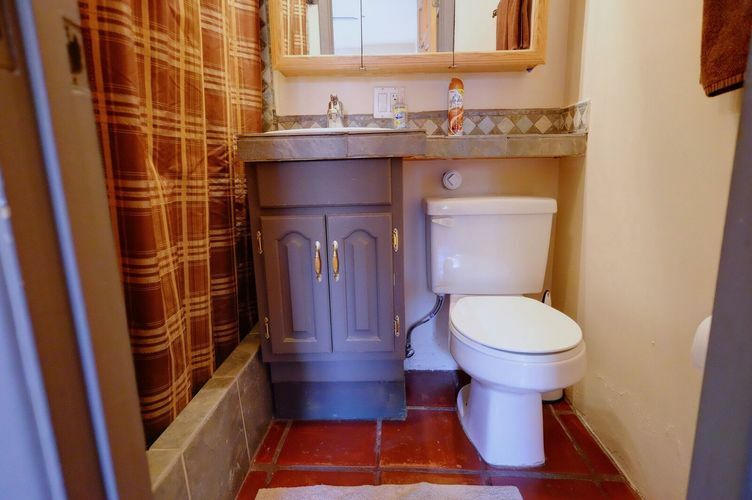 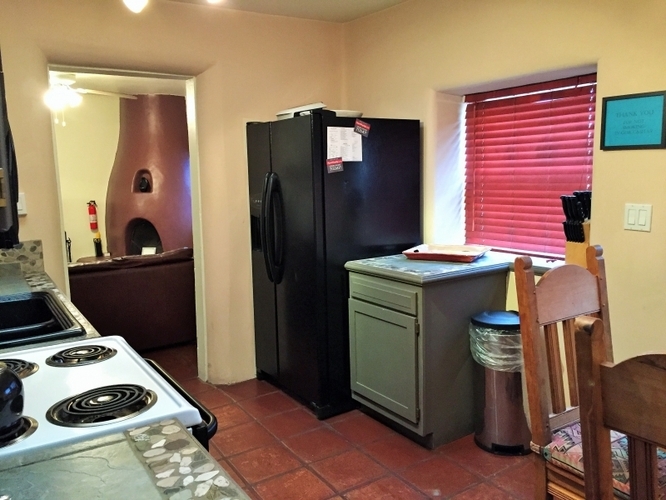 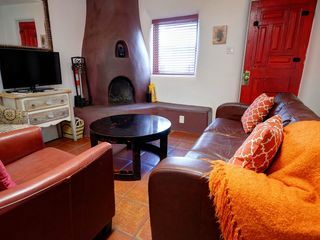 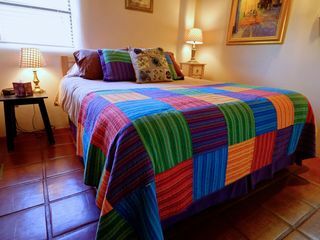 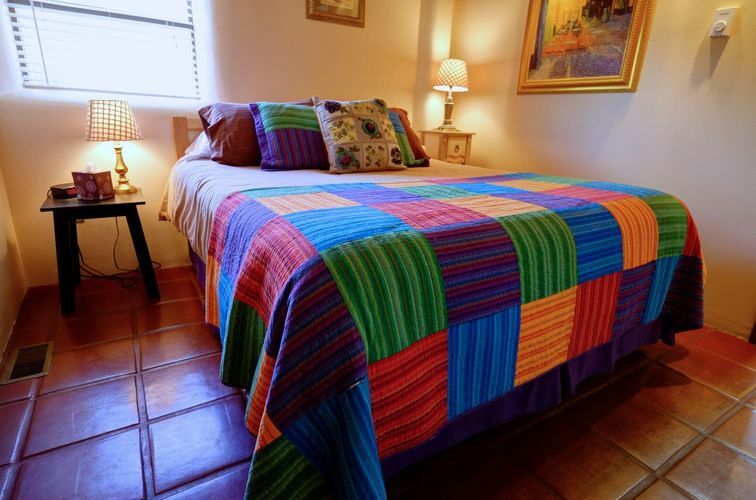 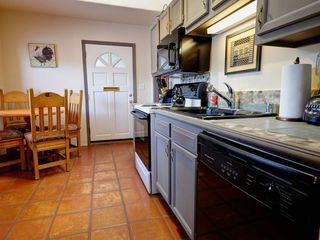 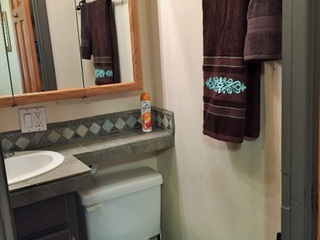 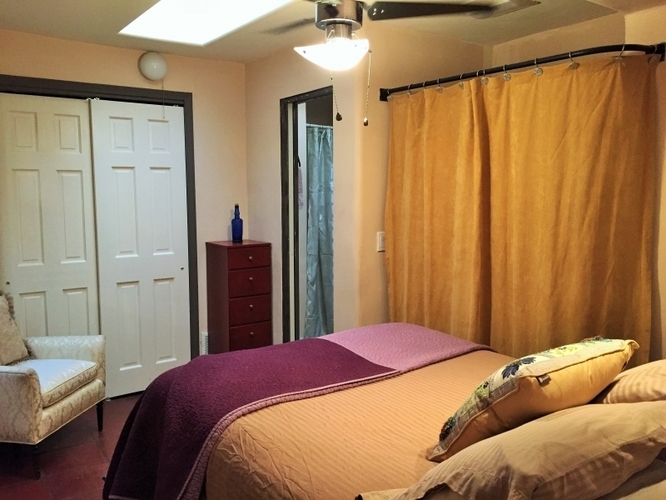 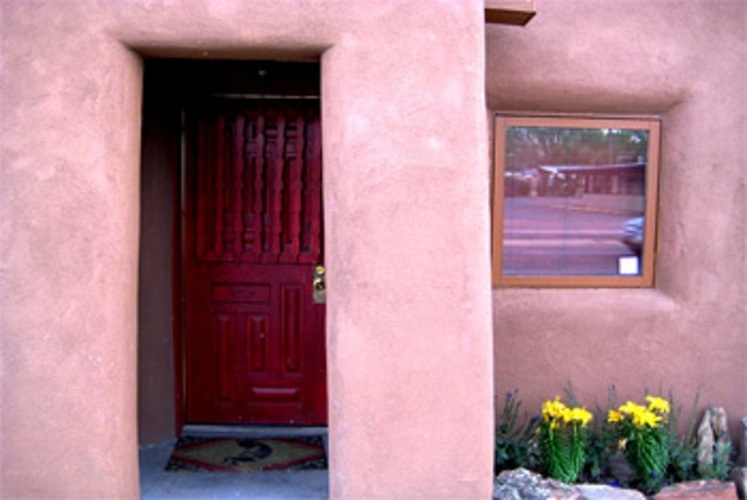 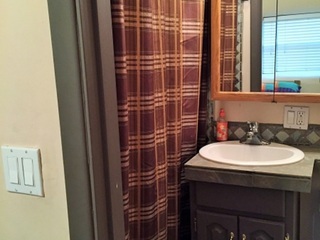 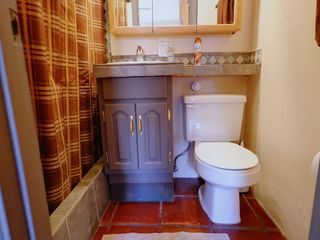 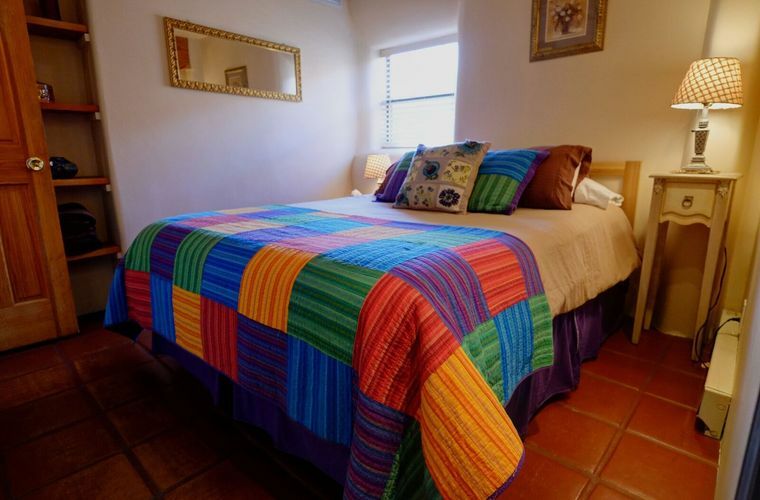 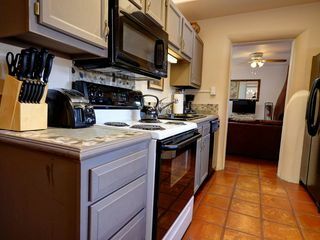 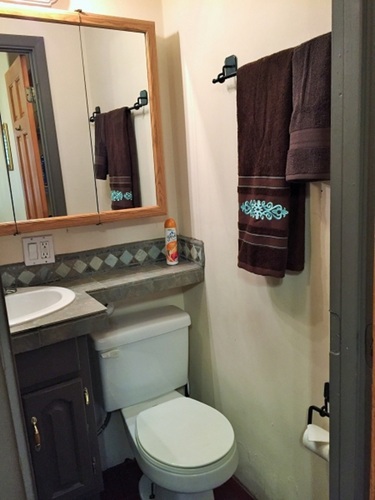 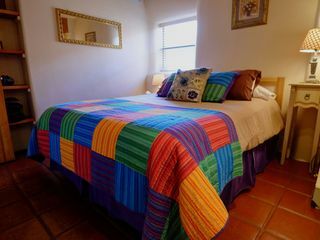 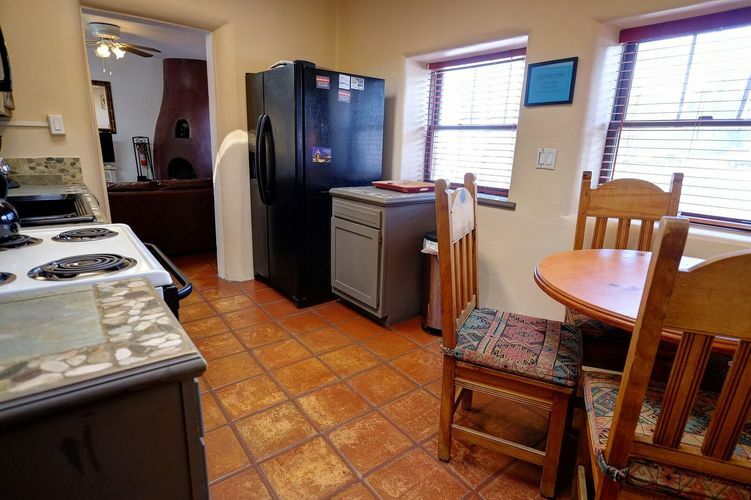 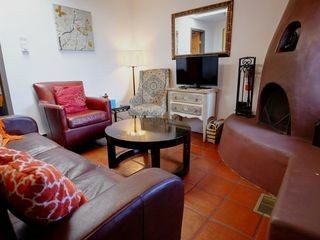 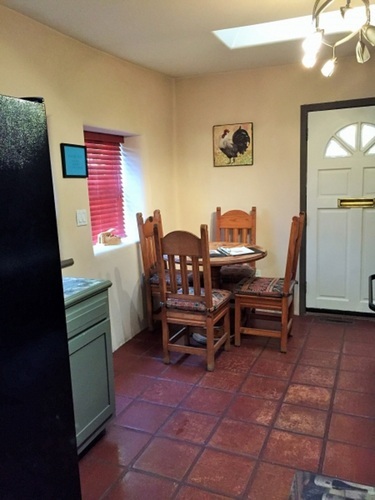 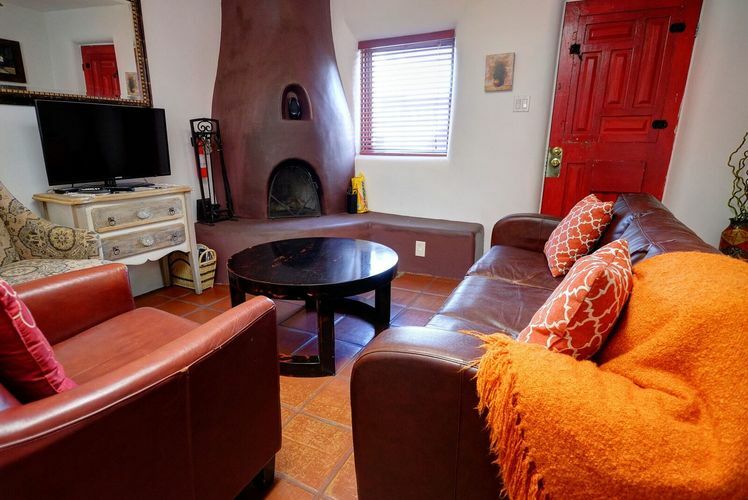 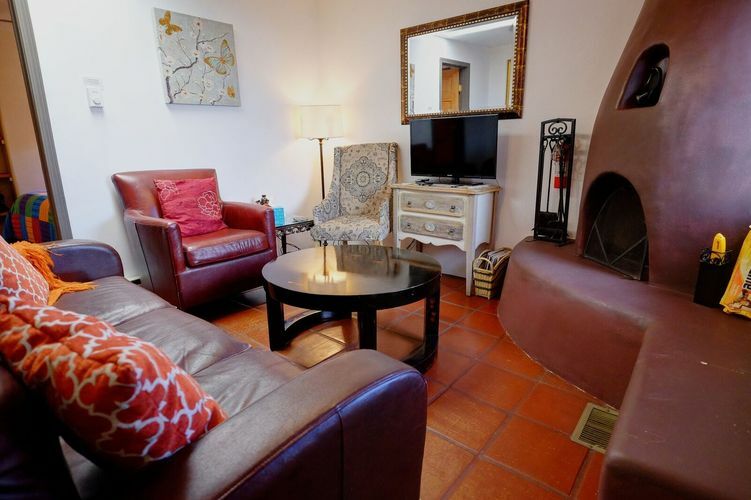 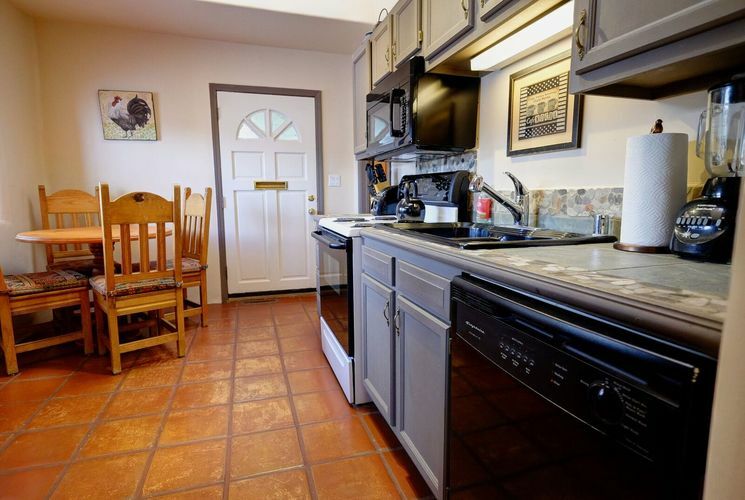 Casita I is 650 square feet and has two bedrooms and two baths, and is a wonderfully homey place, perfect for families and close friends. 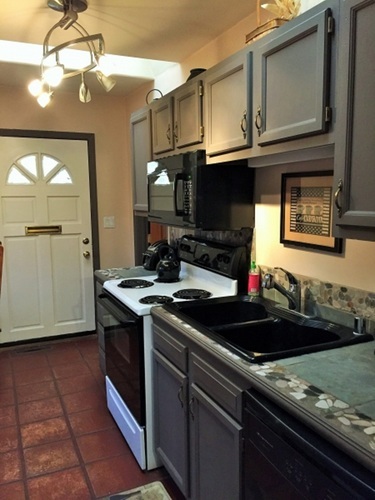 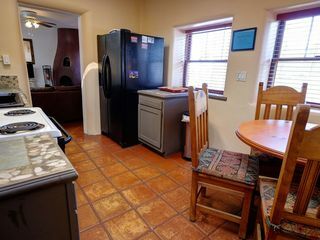 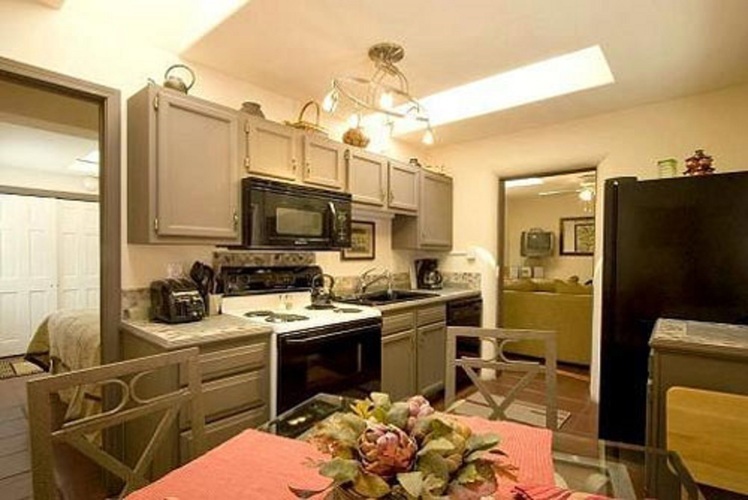 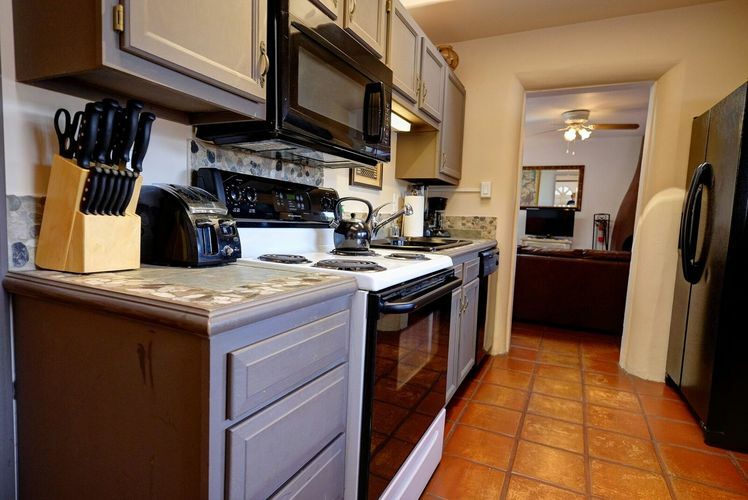 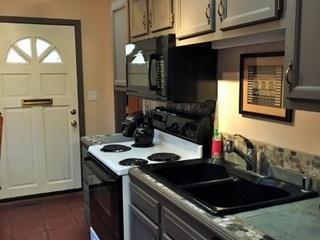 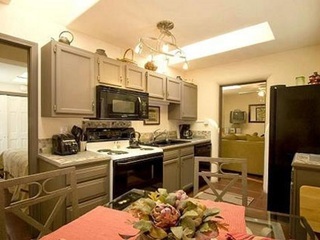 The large fully furnished kitchen is a great spot for cooking - or for socializing as you prepare a meal. 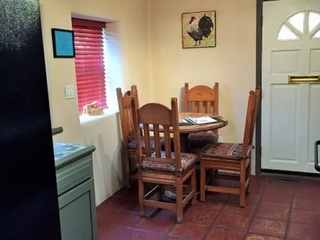 The dining table seats four comfortably. 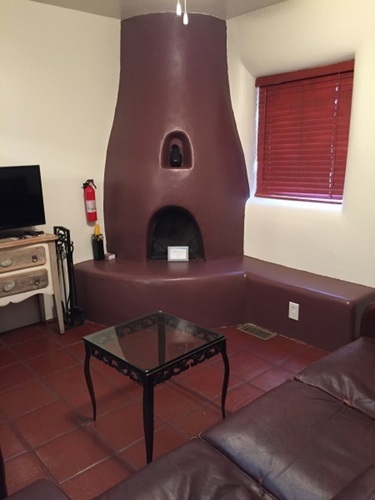 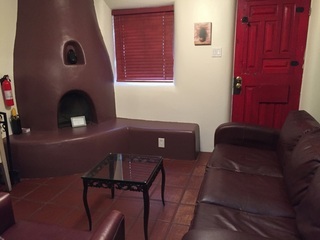 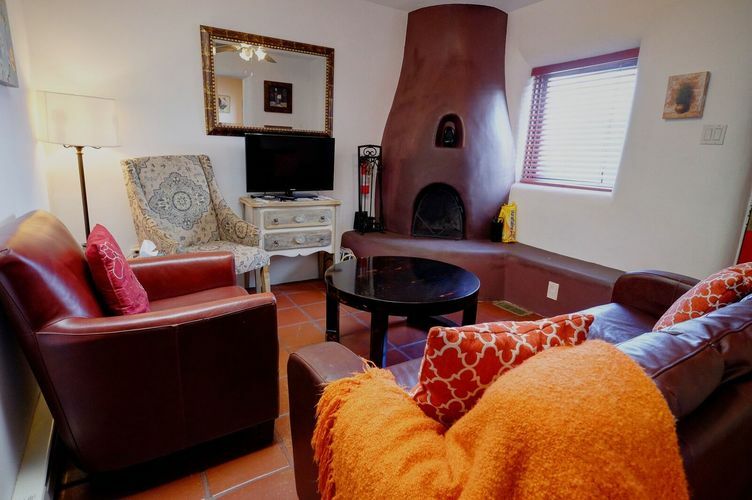 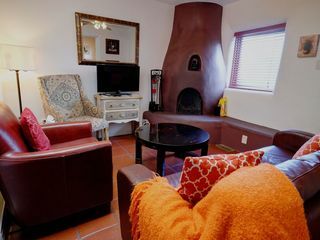 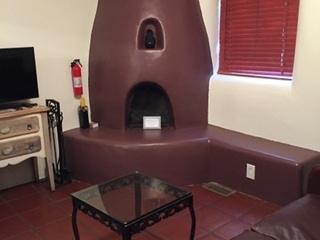 The living room is very cozy, warm, and comfortable, featuring a kiva fireplace and a skylight. 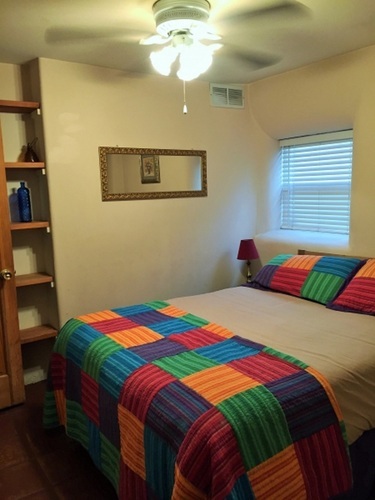 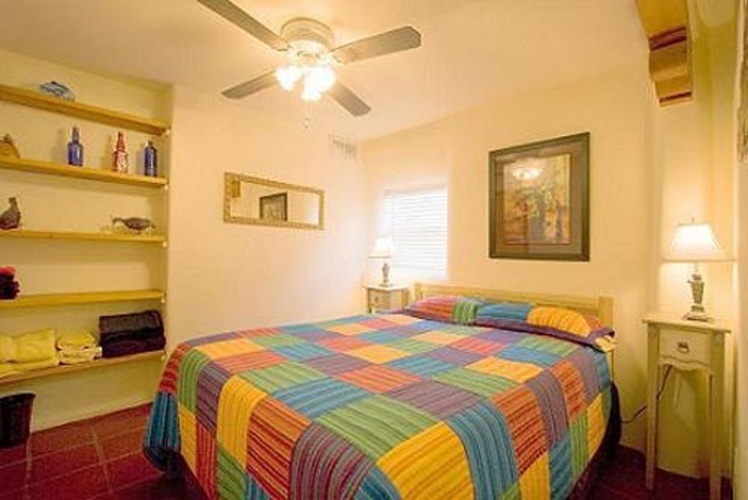 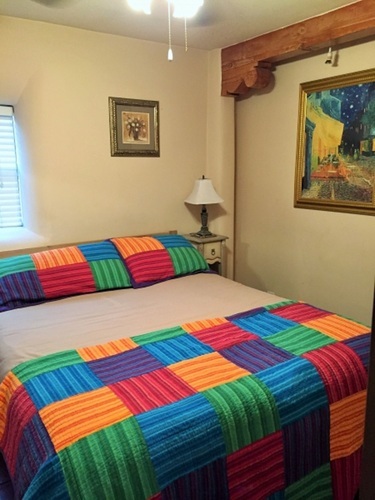 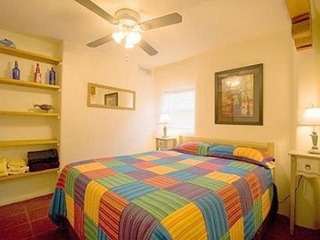 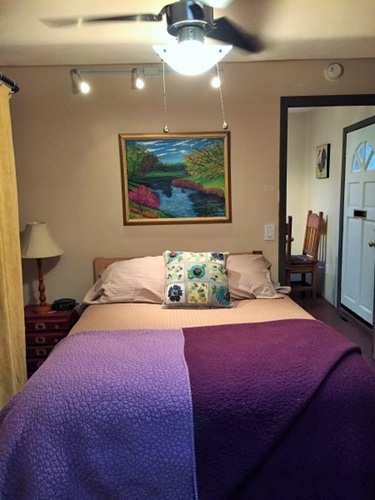 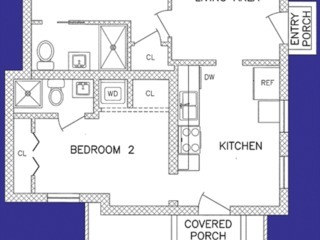 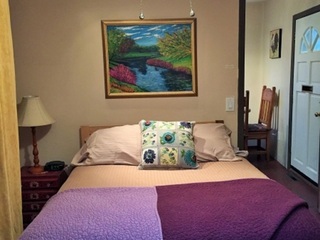 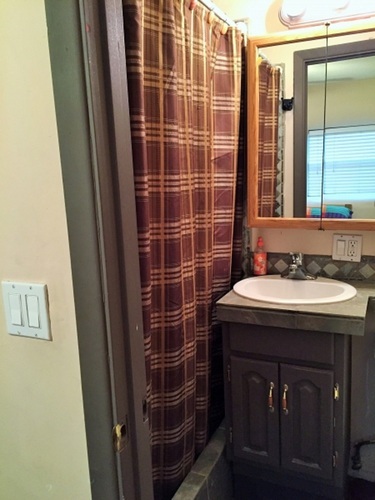 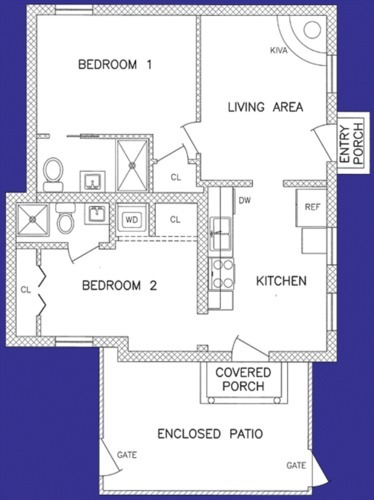 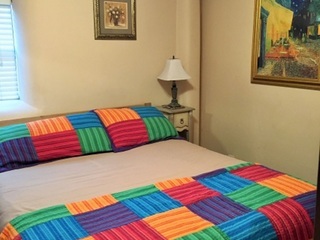 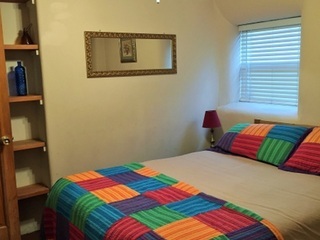 One bedroom is equipped with a queen size bed and the second with a full size bed. 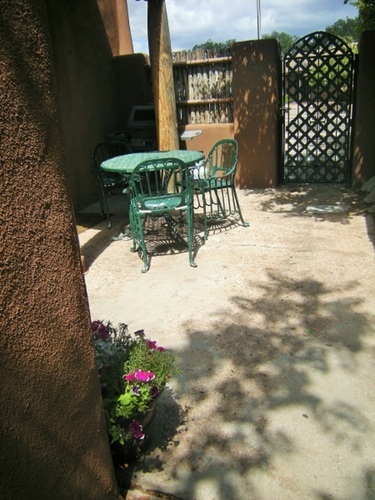 Casita I does have an enclosed patio, but it's not completely private. 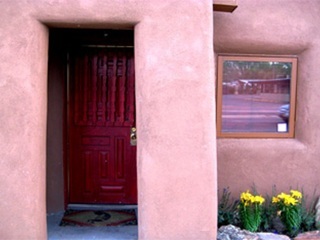 Guests do pass through to get to Casita J. 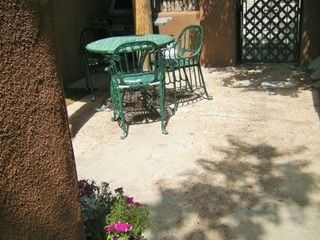 Located just off of Guadalupe, you are a skip and jump away from the plaza!